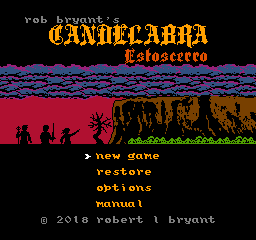 The origins behind the idea for the world of Candelabra has its roots in an RPG Maker game I started on when I had a PlayStation One. 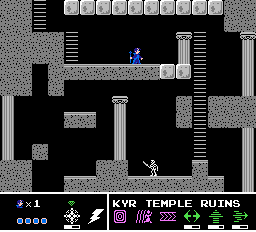 It was never anywhere close to being a completed game, but some of the ideas for it are now being brought forth in this series of games for the NES. There are plans for many of these to tell the whole story, with almost each one being a different genre of game, all in a fantasy-style setting. The evil summoner Amondus from The Order of the Talon has taken over Prim, Hekl's once happy homeland. And nothing drives a wizard more crazy than having their territory trampled on! 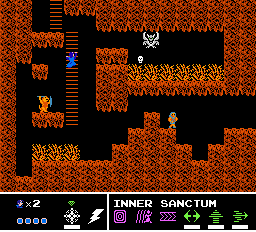 Can you help Hekl defeat the enemies that Amondus has populated throughout the landscape? To do so, you will need to master the art of levitation, find magic spells that will assist you in reaching new areas, and upgrade your weapons. All of these will be necessary in order to give Hekl the power he needs to restore peace to Prim. Do you have what it takes? 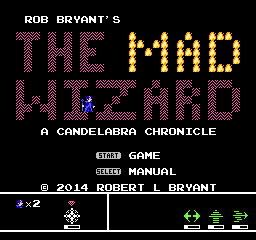 If you dare, venture into this, the first installment of the Candelabra series! Amondus has big plans for the land of Prim and its inhabitants. In order to carry out his nefarious plot, he must force the local goblin population to serve him and work against his biggest threat, Hekl! 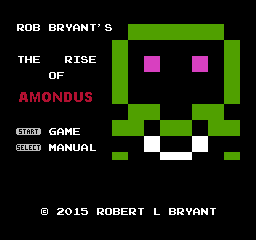 Take control of Amondus, his familiar Charwit, and the leader of the gargoyles, General Rant. Capture goblins to build an army worthy of a tyrant, and force them to steal all of Hekl's spells and mystical abilities! Before this can be accomplished, you must face the champions of the Primwoods, including its grand protector, The Elderwood! Are you wicked enough to carry out these heinous atrocities? Can you be villainous and enslave a population of relatively peaceful goblins? Only you can answer these questions in The Rise of Amondus, an exciting and action-packed prequel to The Mad Wizard, and the second installment of The Candelabra Epic! 100% COMPLETE - KICKSTARTER LAUNCHES MARCH 22nd! After Han, Hubs and Hekl completed their own adventures, the king called on each of them to go to Estoscerro, the labyrinth plateau that is shrouded in mystery. The king believes this place holds the fabled Candelabra. This item is said to have the power to bring peace to the once warring kingdoms. 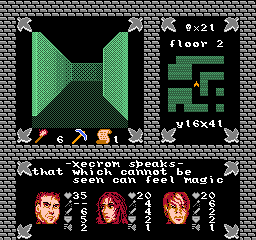 This is a series of games that are 1,024 bytes or less in size. This means all components of the game are included in the 1k; code, graphics, sound, vectors, etc. 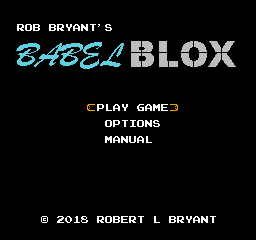 These are mainly done as a challenge, because it is tough to get as much as you can within a 1k space on the NES, but it definitely helps your programming chops! As such, many of these games will be revisited from time-to-time to update the code in new ways that I may find to save space. 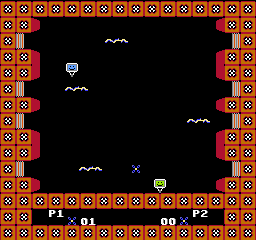 The 1k Series was inspired by the 1,023 byte NES game called Hot Seat Harry by Memblers. There are two others that I know of prior to the 1k Series, one called Froggy by someone named Rob, and Escape From Pong by Halley's Comet Software, which is AMAZING for 1k. You�re walking down the street and suddenly, from a couple of attached buildings that are across the street, you are ambushed by multiple gunmen� luckily you�re packin� some heat! That�s the premise of this entry into the 1k Series of games. Use the D-Pad to move the player�s scope around, and �A� to fire. Score 99 (then +1) and you win the game. That�s a lot of baddies for one area! However, if a single bullet reaches you on the other side of the street, you�re a goner. Shoot them before they get to you! 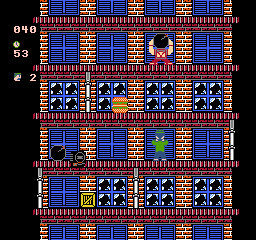 You have been called in to level various buildings that are harboring ninja terrorists! 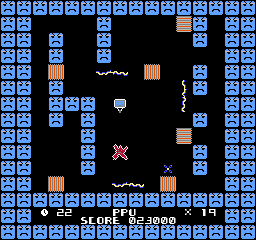 Using your plane and bomb-aiming skill, drop bombs until you finish them off, then move to the next area. 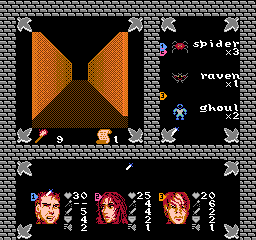 Press Start to begin gameplay. Press the 'A' button to drop a bomb when you feel the timing is right. If you get to 1,000 points, you win! If you crash into a building, you FAIL. Clik is now in his very own 1k game! It�s played just the same as the 4k counterpart, but just a tad smaller in size. Move Clik around and grab the viruses, but don�t get hit by the Shokr enemies! Debris orbiting the Earth has hit critical levels. Guide your satellite launcher through the different layers of the atmosphere and successfully get to the exosphere to win the game. Use the d-pad to move the launcher. 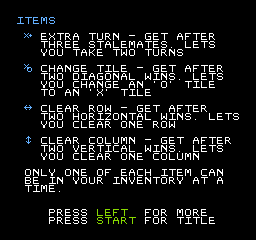 Before the game starts, use the Select button to switch back-and-forth between Normal and Hard mode. Hard mode includes three clouds that obstruct your view. The title is exactly what it sounds like. 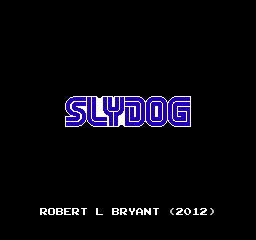 Yes, we here at Sly Dog Studios decided to jump on the bandwagon as well. We created our very own kind of clone of the game that everyone seems to love, but went ahead and tried for a 1k version of it. It is infinitely easier than the original, but it does what it is meant to do� waste time! 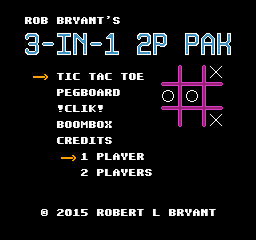 Now with color in Flappy Block version 2! Why did the chicken cross the road? For Points, of course! Get the chicken across the road to get some points. Don�t get hit by a car though. Chickens are pretty defenseless against cars. One hit and it�s game over. We really wish we could�ve squeezed in an animation for the chicken, but oh well. 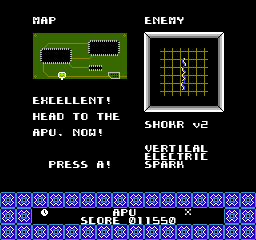 These are the pains of decisions when developing a game of this size on the NES. You're in a submarine, and you're hot on the trail of another enemy sub. It seems to be pulling away from you. The decision was made by your superior to launch Guidance System Magellan, the latest remote-controlled rocket technology in submarine warfare! Guide the weapon through seaweed to get 100 points and win the day! Use the D-Pad to move left or right. The game will speed up as you progress further. Good luck! A game of memory. Very easy if you use a certain method, but here it is! Flip the cards and match them all to win the game. Press Start to begin the game. It should go without saying to use the d-pad to move the cursor around, but there I go saying it. The 'A' button flips them. Meteor Guard is a small space shooter in which you take control of Lieutenant Campkill and destroy as many meteors as you can. Once five of them have passed you, the game ends. However, if you successfully destroy 99 of them, you win! Tap left or right on the D-pad to move in the corresponding direction, and when you are vertically lined up with the meteor you would like to destroy, press the B button to fire. No cookies were harmed in the development of this game. Resume the meteor blasting adventures of Matthew Campkill! On the way home from his last mission, he got caught in an asteroid belt and must destroy enough of them to make the course to Earth more safe for himself. Push in a direction to move in that direction, and push the B button to fire. This is a first-person jogging simulator� of sorts. You�re jogging at night on a country road, but beware of all the potholes! Hit one of them and you twist your ankle and lose the game. So what�s a person to do, jog around them? Never. You must leap over them. The more potholes that appear, the more frustrated you become, and start picking up speed just so you can get through the run more quickly and be done with it. Successfully leap over 100 of them, and you win the game! 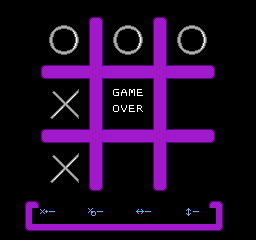 Use the Start button to begin the game, or reset the game during a game over. Use the A button to jump. Happy trails! 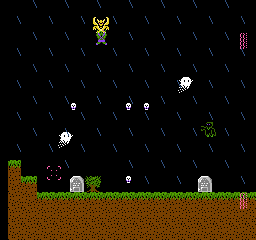 Ninja Muncher is based off of the 4k homebrew game Munchie Attack by Memblers. 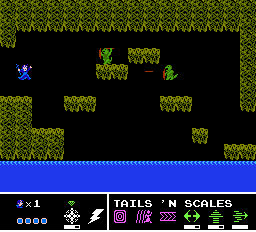 In this version, you have to eat the attacking ninja heads, and dodge the speeding ninja stars! But watch out, the speed varies for each, so you need to be on your toes and keep gobbling those baddies while constantly moving around. It can be harrowing, but alas, I think you are up to the task! Push Start to begin play, and use the d-pad to move your mouf around. No Points! That is the goal of this game that takes place from the perspective of a driver in the game of For Points. Starting off with 99 points, the chickens trying to cross the road lose a point for each one that gets hit. Hit your 100th chicken, and you win the game, successfully denying the chickens their points! Be careful though. If you miss more than 9 chickens, the game is over. Use Left and Right on the Directional Pad to move your car, and the Start button to begin the game, or reset it after the game is over. Like running? Like jumping? Do you even like sliding? Then Obstacle Trek is the game for you! Dodge all the obstacles that come your way. Press A to jump, and Down on the Directional Pad to slide. 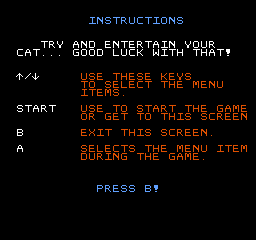 Press Start to begin the game, and also to reset when the game is over. Your character will be mighty excited if he completes this randomized obstacle course, so give him a hand! Yes, good ol� Pong! This is a very, very basic version of the game, but we hope that you enjoy it very, very much. It is 2-player only, so grab a friend and see who starts to nod off first to be able to score on them! Simon's significant other is here to try and stump you with the same game that he failed at stumping you with! Push Start to begin the game. 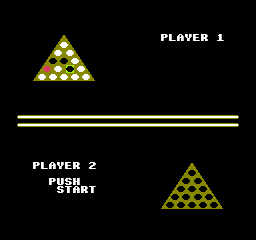 Press the d-pad in the direction and order of the lights that appear on-screen. Miss once, and you lose. When you complete 16 iterations of the game, you will have also conquered Simone, leaving them a miserable, unhappy and arguing couple. I hope you're proud of yourself! Similar to the classic game of Whack-A-Mole, you must pop the dummy when they show themselves from behind the pipes. Push in the direction that they appear at to successfully knock them back down. 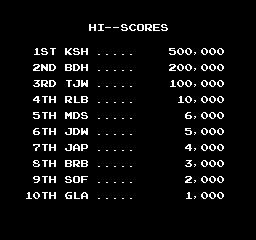 Hit 100 of them and you win the game, but miss 5 of them and it�s game over. They will get progressively faster, so keep on your toes! 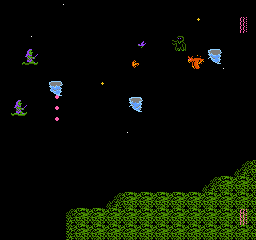 In The Invasion, you must stop the space aliens from reaching your weapon, which you are in control of. If they do, your game is over! To fend them all off successfully, fend off 14 waves of them. Use the �A� button to fire, and the D-Pad to move left or right. Get your marksmanship on! "Man, what do you feel like playing?" "I don't know. How about The One with the Walls?" "OKAY!" In The One with the Walls, you leave a wall trail behind you to try and take down the other player! Use your d-pad to move your wall-layer in the direction you think is best to try and trap your opponent, or to make him crash right away. But beware, they have the same capabilities as you! Be the first to win 9 rounds. So grab a friend you wanna stomp in a game, and pop in this 2-player only game from the 1k Series! 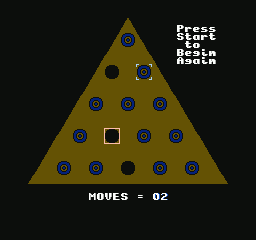 Press Start to begin each iteration, and 'A' at the end of each round. 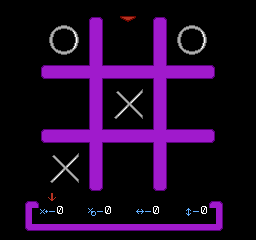 That�s right, a good ol� game of Tic-Tac-Toe for you and one friend to play. The loser gets their X�s or O�s grayed out, and a stalemate results in all pieces getting the same treatment. 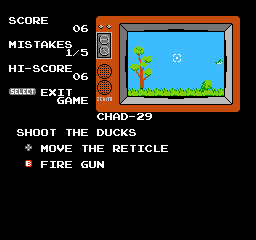 At the end of the game, press the Start button to reset the game. The 1st player (X�s) always goes first, so trade controllers after each game if you feel the need! Of course, move the icon with the Directional Pad, and lay down your tile with the A button. Go grab a friend and get busy! These are games that don't fit into any particular series. Action, puzzle, a general program, etc. Guide Clik around and grab each virus that you see appear, but watch out for the shock of the electric currents! As you collect more virus capsules, the shocks will become faster. 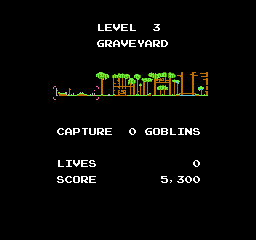 Collect as many as you can to see if you can max out the score ('!!'). 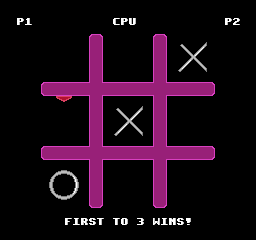 Only the D-pad is used in this game to move Clik up, down, left or right. Have fun! Do you like tic-tac-toe? Do you like the pegboard game? Do you like !CLIK!? 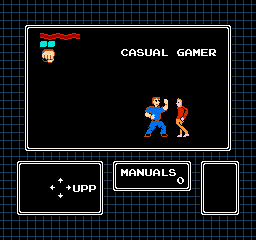 What if they were also two-player competitive on the NES? Well then this game's for you! Compete against a friend, or play witchoself (get those tissues, though)! There are 3 different 2-player games, along with a bonus 2-player game that you can unlock after beating all the games as 1-player. If you look around, you might also find ANOTHER 2-player only game that is hidden within! In the land of Shinar, the people are building a tower to elevate themselves to the level of God. Take on the role of God, and scramble the language of the people and scatter them on the earth! 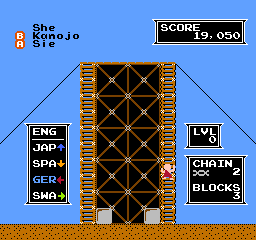 Use twitch-style skills to recognize different languages and stop blocks from being added to the construction of the tower. Choose from a variety of languages to use, and get the people separated! After waking up the next day from visiting a flea market, your excitement about NES games is reinvigorated! 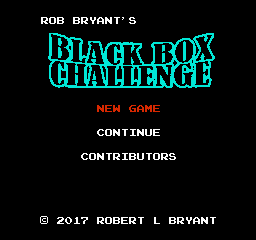 You decide to go out on a quest to collect all of the black box series of games for the NES. 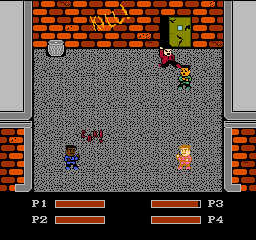 In this RPG style adventure that takes place in a more modern setting, you must collect NES games and play them as minigames to earn power-ups and upgrades to complete the game. Can you track them all down in this epic 10+ hour quest?! K.Y.F.F. 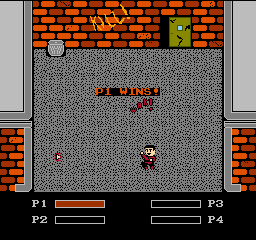 is a 4-player game that allows all four people to compete against each other in a battle royale in the style of classic beat 'em up games. 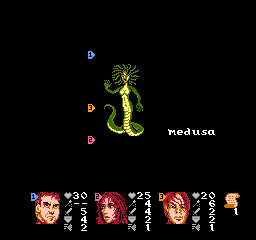 There are a total of eight different attacks at the disposal of each player. When a hit is successful, the character loses energy, and a bit o' Batman TV series onomatopoeia pops on the screen. 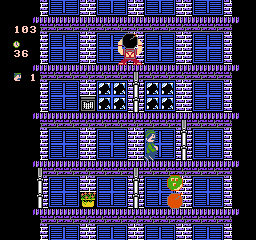 This game was developed specifically for the 2012 NintendoAge Campout. The full name of the game is actually "Kill Your F#! 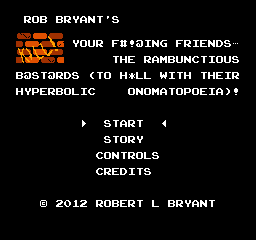 @ing Friends� The Rambunctious B@st@rds (To H*ll With Their Hyperbolic Onomatopoeia)!" That�s quite a mouthful, eh? I NO LONGER OWN THE RIGHTS TO THIS GAME, BUT STILL OWN THE IP AND ASSETS. 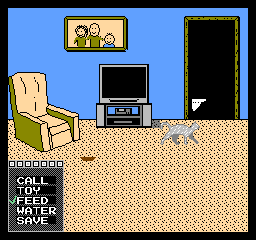 IF YOU'D LIKE TO MAKE A REPRODUCTION OF THIS GAME, OR SOMETHING OTHER OF THE SORT, PLEASE CONTACT SECOND DIMENSION, LLC NES Virus Cleaner is pretty much a spoof of the NES Cleaning Kit. That thing barely helped clean the NES, just as NES Virus Cleaner doesn�t do much for removing �viruses� from your NES. 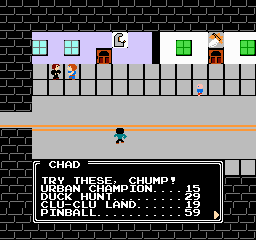 You guide Clik, the hero, around inside your NES and grab viruses in the various spots they are placed. The ultimate goal is to get to the lockout chip and destroy Virii, the main virus. 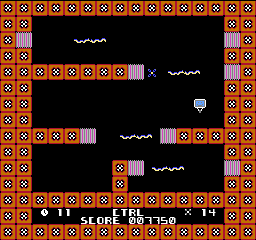 The obstacles in the game are electric bolts, electric sparks, disappearing blocks, a homing missile system, and of course, time. If you run out of time on a certain level, the game is over. If you get hit by an enemy, you will respawn at the point where you picked up the last virus. 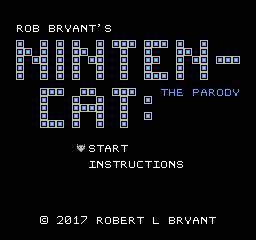 Would you like to take care of a virtual cat on your NES? I bet you would, so here is something that will allow you to do that! Have tons of fun with your virtual NES cat as it sits and stares at you, its toy, and generally makes you feel... bored! So good luck having fun with your cat! 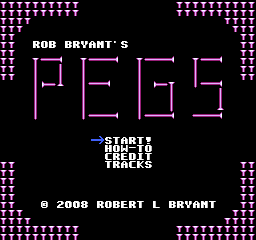 The whole premise of the game is to choose a spot on the board where you don�t want a peg to be, then jump pegs, one over the other, until there is one peg left on the board, or there are no more moves to make. 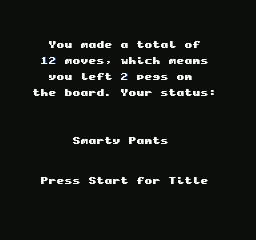 It�s a rather simple game, but it�s pretty fun! If you�re not sure exactly what game I�m talking about, go to your local Cracker Barrel and you�ll see. 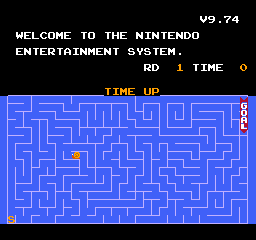 A recreation of the classic Sega Master System Snail Maze Game! 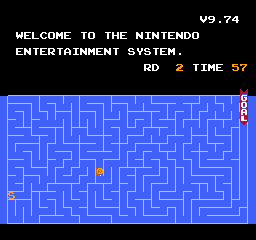 Use the directional buttons to move the snail, and to start the game you have to push Up, B, and A. For those that don't know, the original was sort of hidden on the SMS. 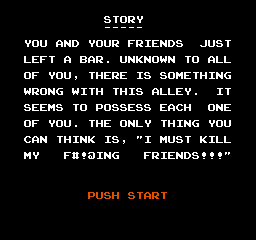 If there was no cartridge in the system, or if a cartridge wasn't seated properly, then a message popped up on-screen. 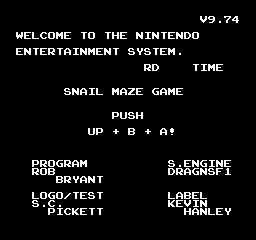 If you pushed Up and buttons 1 and 2, then you would get access to the Snail Maze Game. This software was developed for two reasons. The first being that I wanted to make something for one of my sons that absolutely LOVES letters. The second was to try and implement multiple DPCM samples and learn how to better apply them. It ended up working out nicely. The controls are super-simplistic so as to accomodate for a child. Left and right are the only directional buttons used, and A is used to make the voicing of the letter be heard. There is really nothing more to it than that. 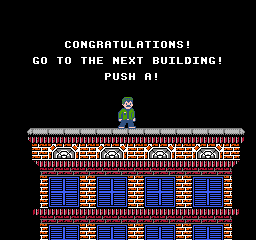 This is the first game for the Nintendo Entertainment System that I have finished 100%. 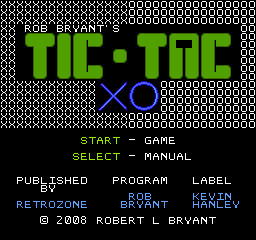 It�s basically a game of tic-tac-toe, but with extra features added into it. These include the ability to take an extra turn, swap an �O� tile out and put your �X� tile in, clear a row, or clear a column. You can obtain these power-ups through different means: getting three stalemates in a row, winning diagonally, winning horizontally, or winning vertically. This is actually not a Sly Dog Studios game. However, I did program it for my friend Adam at Second Dimension. This was his brain-child, and he had a gentleman named Brian Manzelmann do the graphics before asking me to program it. It turned out to be a really fun game! 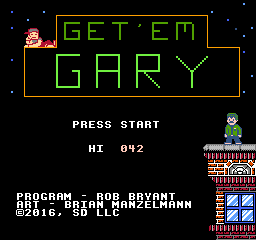 You play the role of Gary, and you have to fix all the windows that get broken in buildings by the antagonist, Rusty. I will not be able to ever release the ROM or the source, but I will be able to release an NSF of it after the game's release. So, stay tuned for that! These are tools that I programmed that I either use or used to use extensively while making NES games. A simple program that lets you make a blank binary file for whatever use you need it for. 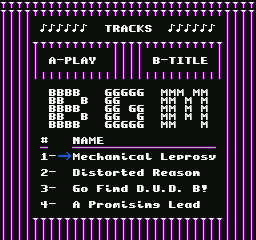 I made it mainly for having a blank .chr file to start from a clean slate in NES development. Merely a windowed version of the above program, except programmed in VB.NET. 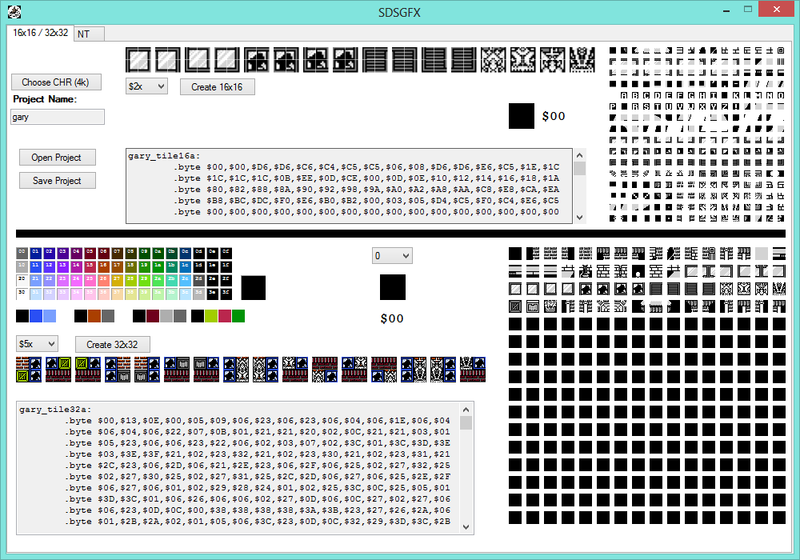 Create palettes for use in NES programs. A run-length encoder and decoder. 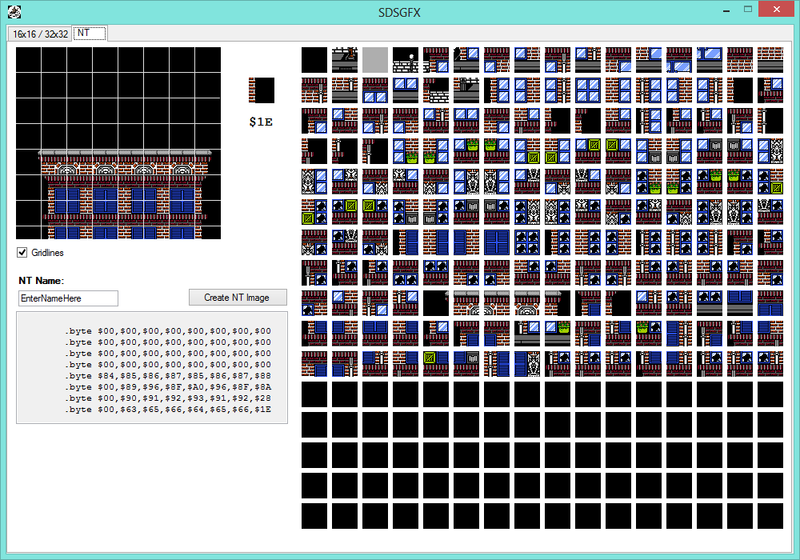 It is the MOST basic run-length though, not taking into account if there is only 1 or 2 bytes that are by themselves. 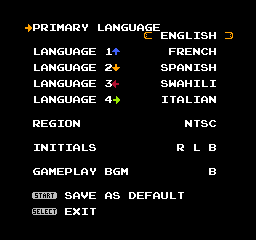 It can still be helpful in many ways however, especially if you'd like to keep the decompression code in an NES game really small.